You've decided how many solar panels you need, you know the size of the panels and you know how you want them to be laid out. Now you've got to work out how to get them safely up to the roof, secure them and be certain that they will stay there. 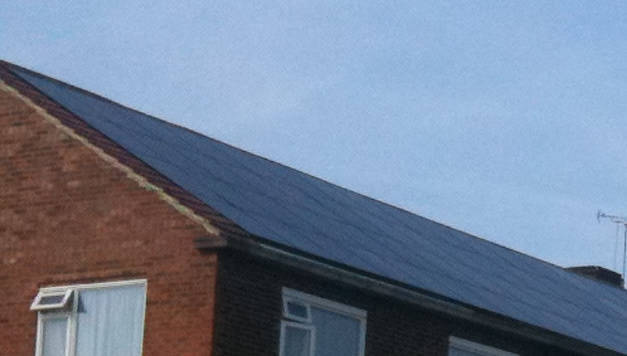 This article describes some of the steps to take when carrying out a retrofit roof mounted solar PV installation and the typical equipment used to secure an on-roof (flat or pitched) solar PV system. We don't go into any detail about the electrical side, as we will bore you to death about electrics elsewhere, this article concentrates purely on the safety considerations and mechanical aspects of a typical retrofit PV installation. Fragile roofing materials, including insecure, inadequate, corroded or broken roof fittings, anything that the installer or materials could potentially fall through if weight was applied. Any protection at the roof edges to stop the installer, tools and or materials falling i.e something to stop a person or equipment sliding down the roof and over the edge. The presence of asbestos, lead and other contaminates that could cause problems if cut, damaged or disturbed. Remember to also look at flashings, guttering, pipes and pipe insulation. Insecure, inadequate, rotten or broken roof supports and rafters that may not be strong enough or big enough to handle the increased weight loading or provide a secure connection for the mounting feet. 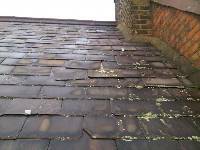 Existing waterproofing and flashings, any damp, staining or corroded areas may be an indication of underlying instability. External influences such as the proximity of power lines that may cause difficulties or dangers during the installation. Moss, lichen or anything else that may be slippy when walked on. The suitability of the equipment that will be installed in relation to the mounting area. 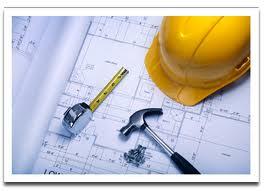 The suitability of the equipment that will be used for the installation. The safety of the installation team. The safety of others who may be using the building or be close to the building whilst the installation is taking place. The long term effect of the increased weight loading on the structure. Any uncovered problems that could be made worse because of the PV installation or spread to affect the installation at a later date. 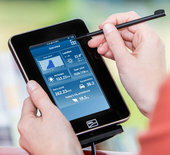 Once you have considered these factors you are then likely to have a good idea of the best way to overcome these issues and progress, whilst reducing risks and selecting the most suitable equipment for the PV system itself and the equipment needed to carry out the installation. In many cases issues identified at this stage can be 'designed out' by using different equipment, changing the specification or making improvements to or changing the mounting area before the solar PV system is installed. If there is any uncertainty, consult a building surveyor, a relevant specialist or the local building control department, this is likely to save time, money and effort later. If you are not sure, consulting a specialist and following their recomendations will give you the certainty to move forward confidently. Depending on the nature of the installation and the potential risks you have identified, in conjunction with the heights you are working with, the size of solar PV system that is being installed and the stability of the roof; you may want to consider using a combination of the access, lifting and safety equipment below. Access Equipment: General access scaffolding, tower scaffolds, stair scaffolds, trestles, ladders, roof ladders (crawling boards) could all be safely employed. 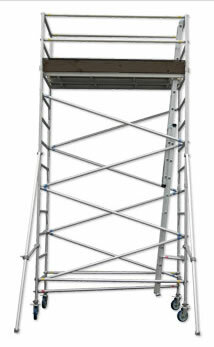 You could also use Mobile Elevated Work Platforms (MEWPs) such as scissor lifts, cherry pickers and cranes. Lifting Equipment: Gin Wheels, scaffold hoists, gantry hoists, scissor lifts, cherry pickers and cranes could all be used to safely raise the solar panels to the required height. Safety Equipment: Edge protection such as safety nets, guard rails and toe boards could be used to prevent equipment and people falling too far. Personal protection including harnesses (both to avoid a fall or reduce the consequences of a fall), could also be used but should be considered (when used in isolation) as a last resort if edge protection and other measures are not practicle. The key points are to ensure that whichever installation equipment you choose it is right for the job and used correctly. Your primary aims should be to ensure that the risks involved in falling (people and materials) and the problems encountered when handling bulky and heavy solar equipment at height are reduced or ideally eliminated. 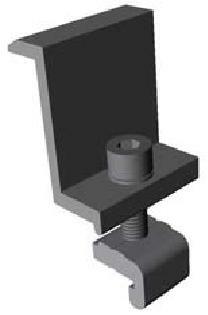 Mounting Feet / Roof Hooks: attach directly to the roof supports and are the main anchor points for the array. Mounting feet come in different sizes and can also incorporate extensions to raise the array depending on how far above the roof level you prefer the solar array to be (increased airflow) and the depth of the existing roof coverings (so the array rests on the rails not the roof). Mounting feet can also be used to increase the tilt of the array at an angle which is greater than the tilt of the roof if required to improve solar gain. Extruded Rails: are secured to the mounting feet which in turn secures the rails to the roof. Extruded rails are usually made of high strenght aluminium and are used to support the weight of the solar panels and provide a stable and flat surface onto which the solar panels can be individually secured. Individual rails can be supplied in spans up to 6m. Internal Splices: are used to extend the length of the extruded rails through slotting in the insides of the two rails that are to be joined. Internal splices lock into cavities built into each rail and are secured using self tapping screws. End Clamps: are used to secure the outside edges of the first and last solar panel in each row of the solar array to the rails. 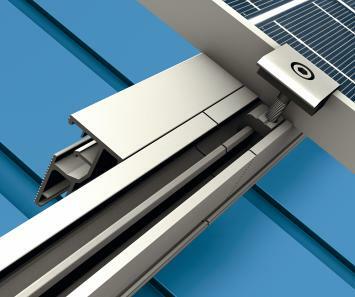 Centre Clamps: are used to secure the inside edges of two solar panels to the extruded rails. Other documentation that may be useful for clients and installers in relation to installating solar photovoltaics safely onto roofs can be downloaded below.